Can the Cecil Moment become the Cecil Movement? 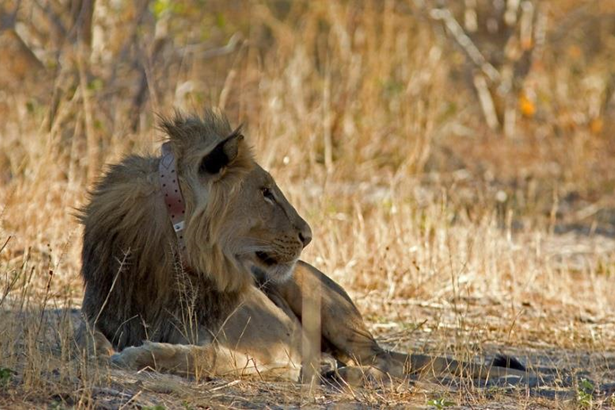 A new WildCRU paper reports on the astonishing global media storm caused by Cecil the Lion, and David Macdonald tells the inside story of being at the eye of that storm: when, in July last year, the news of Cecil’s death in an allegedly illegal bow hunt, went viral, three of us, supported by the WildCRU team in Oxford and in the field, had our lives thrown into turmoil! In our new paper, which poses the question “Can the Cecil Moment become the Cecil Movement?” we describe the facts and figures of this global response, and those reading the paper will see that we conclude that it may be unique. But behind the scenes two of us in Oxford, myself and Dr Dawn Burnham, felt the full impact, while in Zimbabwe our friend and colleague, Dr Andrew Loveridge, was similarly beseiged. On the night when the story went viral, an estimated 4.4 million people visited our website (which collapsed – Google engineers swooped to our rescue). In the ensuing week, I did media interviews, without break from early morning til late at night, with Dawn teeing up a radio station on one laptop, ready to slip it in front of me as soon as I finished the previous interview on another laptop; the phones rang without break, on one day I had 243 emails queued from different journalists, and would occasionally break from the phone and Skype interviews to dash into the front garden to record TV interviews to camera. Meanwhile, in Zimbabwe, Andy was keeping our colleagues informed at the Zimbabwe Parks and Wildlife Authority who were themselves trying to manage the legal case against the alleged culprits. We are quite familiar with controversy in conservation – WildCRU studies have put us at the centre of national level political debate often enough (concerning fox hunting, badgers and bovine tuberculosis, mink control etc) – but the Cecil Moment was unique in the history of conservation, and of Oxford University, as we document in our paper, and as reflected in TIME magazine’s ranking of Cecil as the most influential individual animal (I’d say ever!). Of course, there were down-sides to all this, and most painfully there were the potentially millions of donations that we lost when both the WildCRU and Oxford websites collapsed (I can’t resist pointing out that any reader who would like to remedy that missed opportunity to support us can do so here). However, the upsides are immense: as we describe in our paper, Cecil’s death has put lion conservation into the world’s consciousness in ways that are unprecedented. We have the world’s attention, and it is incumbent on us to grasp the opportunity, to reverse the appalling decline in lion numbers that, together with our partners, we documented recently in a pan-Africa analysis. Grasping this opportunity is going to require new thinking, to break the mould of current conservation which, despite enormous successes and tireless effort, has failed to staunch the loss of lions, or other big carnivores or wider biodiversity. Many of the big changes in human history have come from unpredicted, unexpected moments that have been grasped to bring about radical change – the Cecil Moment could be one such opportunity.